Ron Guidry is scheduled to meet and greet fans and sign autographs and memorabilia at 11:15 a.m. Thursday, August 4, 2016. An autograph ticket must be purchased for every signature you want. (Except free autograph guests.) Autograph tickets may be purchased in advance, or on-site at the TRISTAR Autograph Ticket Booth. Fees vary for each guest. Ron Guidry is a former Major League Baseball left-handed pitcher. He played his entire 14-year baseball career for the New York Yankees from 1975 through 1988. Guidry was also the pitching coach of the Yankees from 2006 to 2007. Sports Speakers 360 is a booking agent for pro athletes. 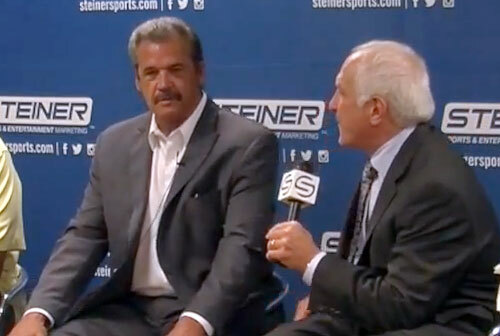 If you would like to book Ron Guidry for a speaking engagement, appearance or endorsement, contact a Ron Guidry booking agent for fees at 1.855.303.5450.